When android Mech6.0 saves the life of a handsome hardware engineer,  her body is destroyed and her mechanics discover a glitch in her programming. Androids aren't not meant to develop unpractical reasoning or near-emotional responses…let alone fall in love. certain to leave you aching for more. a little one shot book about all the Lunar Chronicles ships. Includes Winter & Jacin, Cress & Thorne, Liam (Kinney) & Iko, Kai & Cinder, and Wolf and Scarlet. THE BODY ELECTRIC IS A NEW, FULL-LENGTH SCI FI NOVEL BY BETH REVIS. THE FULL NOVEL IS NOW AVAILABLE FOR PURCHASE FROM ALL MAJOR RETAILERS. THIS SAMPLE COMPRISES ROUGHLY 1/3 OF THE TOTAL BOOK. 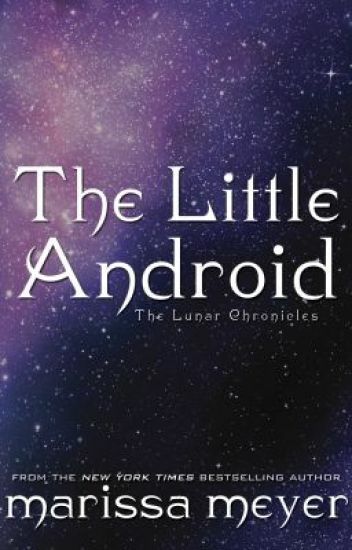 Based off the incredible series by Marissa Meyer, this contains short fanfics and stories about the Lunar Chronicles and its characters. Since the Ancient Times, our forefathers have craved out their life journeys on Ivory.. The one from our natural gardeners. Mammoths to Elephants, Whales to Rhinos..
Hello. My name is Ruby Eliane Wate. I didn't mean to eat my grandmother. She was born a product. He was born free. My freedom ended the moment I was born. The doctors took one look at my genetics and knew I didn't pass the baseline required for normality, so they tattooed a barcode on my hand and shipped me away. I never saw my parents. I don't know if they even wanted me. I'm not sure anybody ever wanted me, but I won't let them buy me. I won't let HIM buy me, no matter what he says his reasons are. I don't care. I'll use him if I have to. I'll find my parents, and I'll buy back my freedom. This is after Winter but doesn't include any information provided by the lovely Marissa Meyer in her novella titled "Something Old, Something New" inside the book "Stars Above"
So it's two years after Winter and Thorne is up on Luna while Cress is down on earth. He barely calls her, and she gets worried. But to Thorne he just can't call her everyday or he would go crazy, he loves her so much. Cress eventually goes to visit Scarlet who is alone because Wolf is with Thorne and Cinder. There she discovers something shocking and it will determine her whole future. I OWN NOTHING. ALL CHARACTERS AND PLOTS BELONG TO THE AMAZING MARISSA MEYER!! !